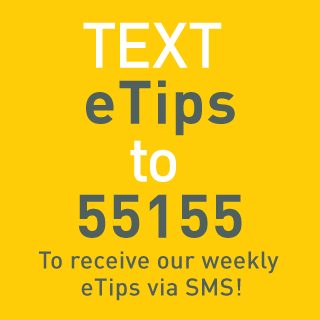 Location based marketing (LBM) is a direct marketing strategy that delivers targeted communications based on where your audience is standing. With the proliferation of mobile devices in today’s market, there is tremendous potential to leverage this emerging technology. To help you navigate through the geofences and beacons, we’ve developed a cheat sheet that outlines these and more! 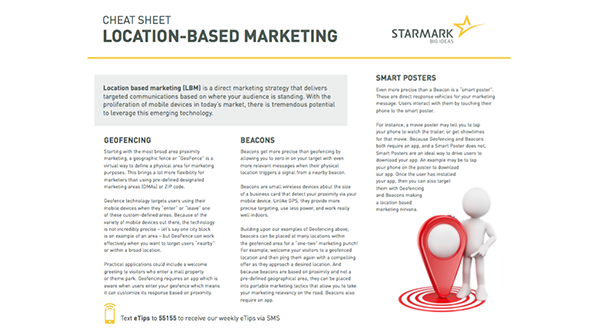 Location Based Marketing is the eight “Cheat Sheet” in a series produced by Starmark. If you like, see below for a list of others you may find useful.